See scan - perfect condition. 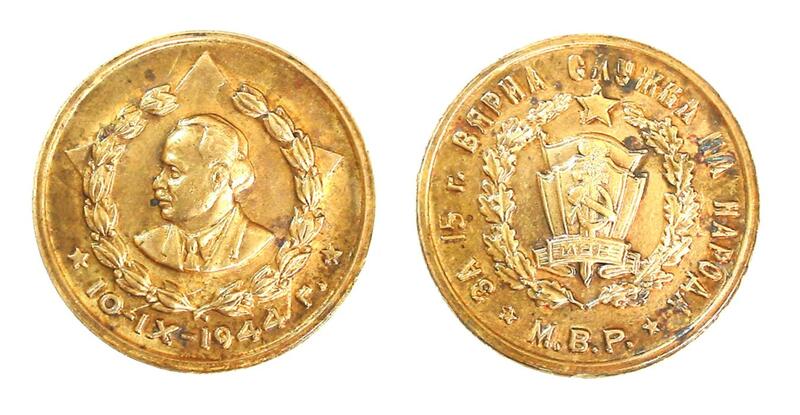 This is a nice and rare Communist Bulgaria era 15 years of perfect service to the Bulgarian Interior Ministery medal - mint company specimen in bronze. Much thicker than regularly awarded piece plus different color. Scarce military / militaria collector piece and one of the nice Bulgarian medals and decorations.